Originally built in 1958 and renovated in 1988 by Mt. Baker Housing Association, the apartments are due for improvements. 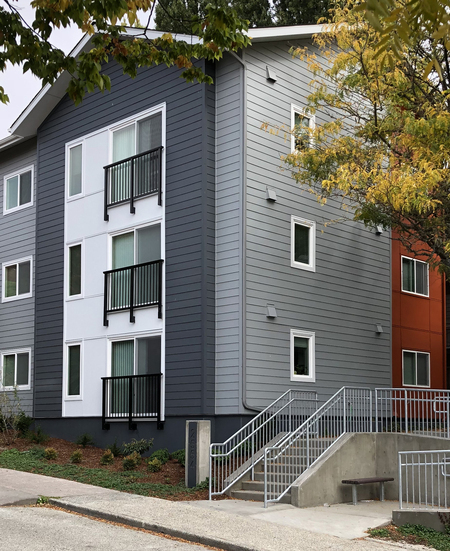 ARC Architects worked closely with the Owner and Beacon Development over several years to strategize and design the scope of work. 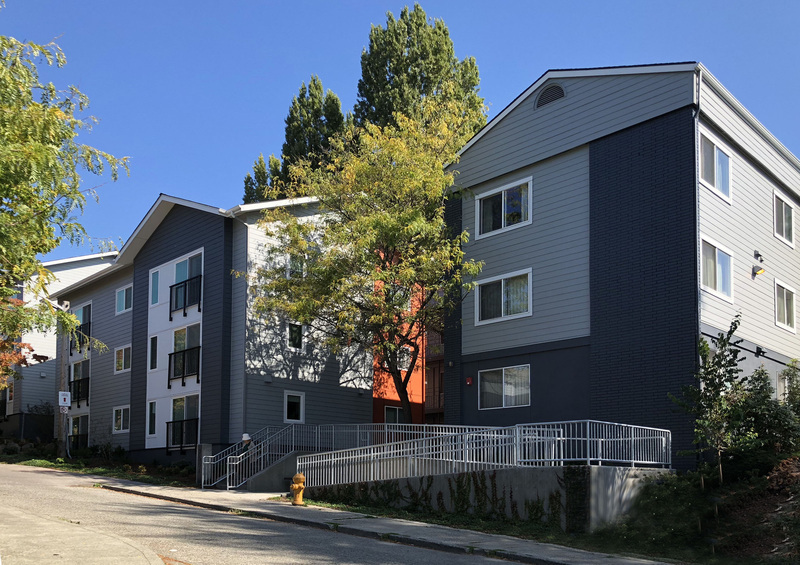 The project improvements to 107 units includes voluntary seismic upgrades, conversion of storage rooms to bedrooms, new bath and kitchen cabinets and appliances. 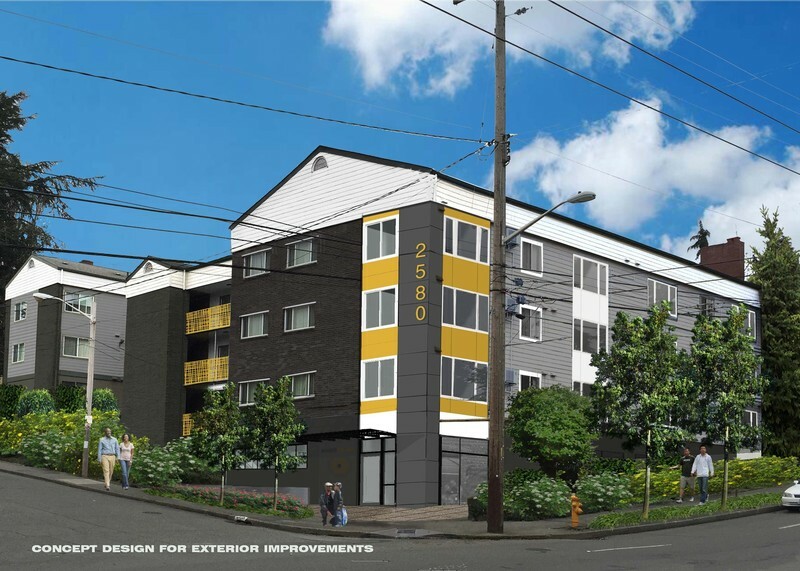 The buildings are located along 29th Ave South with garden style walk up units with balconies. 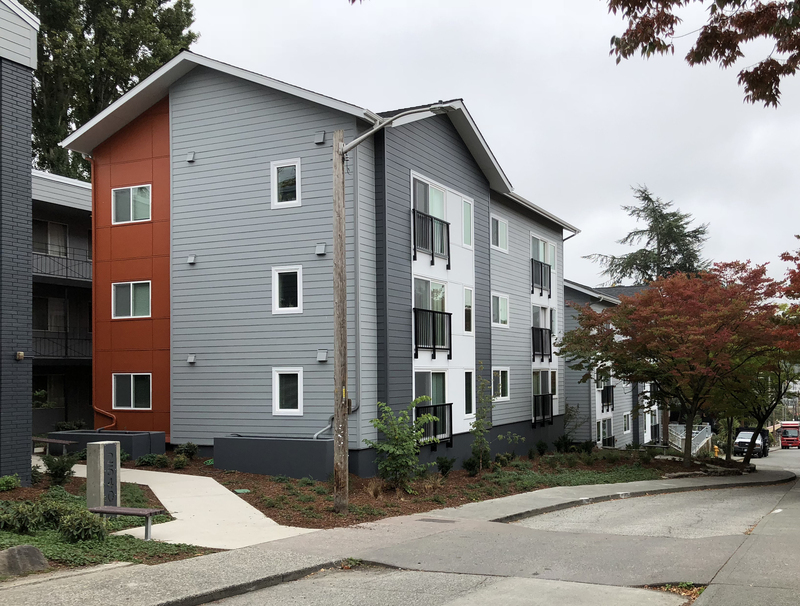 The project included three small additions built in front of 3 of the buildings to create 18 more affordable apartments. Original plan included another 6 units but the location had 3 significant trees and would have pushed the project into Design Review. 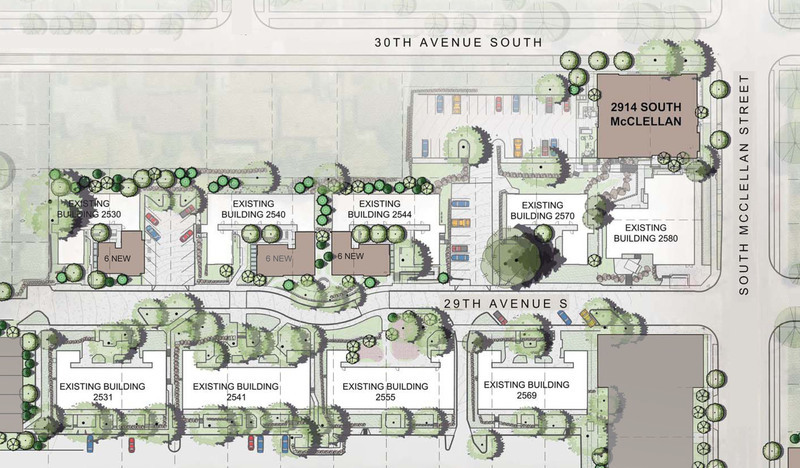 The Additions are designed to complement the existing 1958 design while creating more modern welcoming buildings.